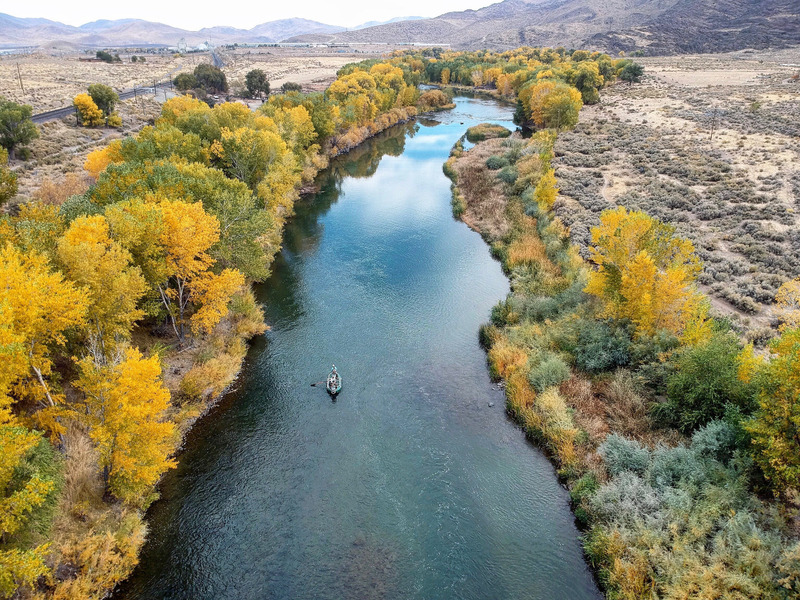 November is the new October on the Truckee River. Should be a much better month fishing wise on the Truckee River. While most of the Rockies are getting snow, it’s been warm in the Sierra’s. Last few weeks of October and this last week were just too hot/sunny for good fall fishing. We had some good days, but all in all not that consistent fall fishing we’re looking for. Saturday in Reno set a record for that date. 76 degrees. 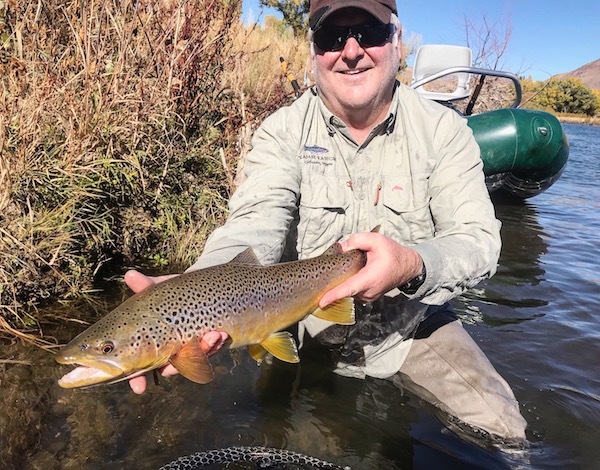 Mainly been in the raft streamer fishing on the Nevada side. Last week was really good, this week not so much. Hunted up a big brown Saturday, but all in all kinda slow. Nice when you can get grabs on every bank. Some days that happens. Lots of that depends on the pressure/ barometer, and moon phase, and light/ sunny, or cloudy days. 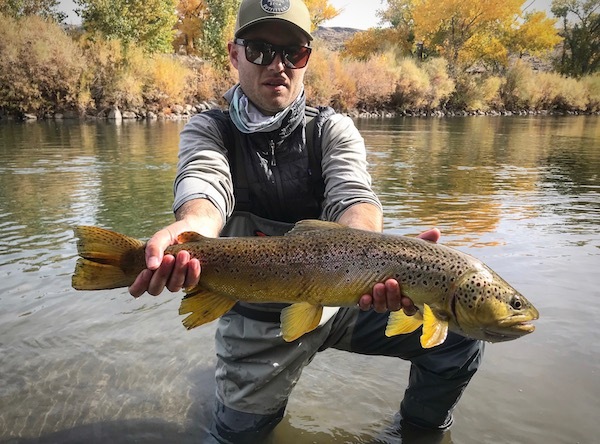 Streamer fishing is much different than nymphing, and lot of different influences determine the bite. I can get trouts any day of the year nymphing, just can, not so with the streamers. It also helps if you are an efficient angler and can hit your fly in the right zone. Not every single zone you see. This is a great article on streamer fishing. I fish streamers a bit different than the Michigan fellas, but great read. I expect the November streamer grab to be pretty good down in the the desert. We do nymph also. Look for fish to be sitting in slower water, especially if you are fishing on the CA side. 17 degrees the other morning here in the Hirsch. Trout will sit in water about 3-5 feet deep. Water that moves at a slow walking pace.